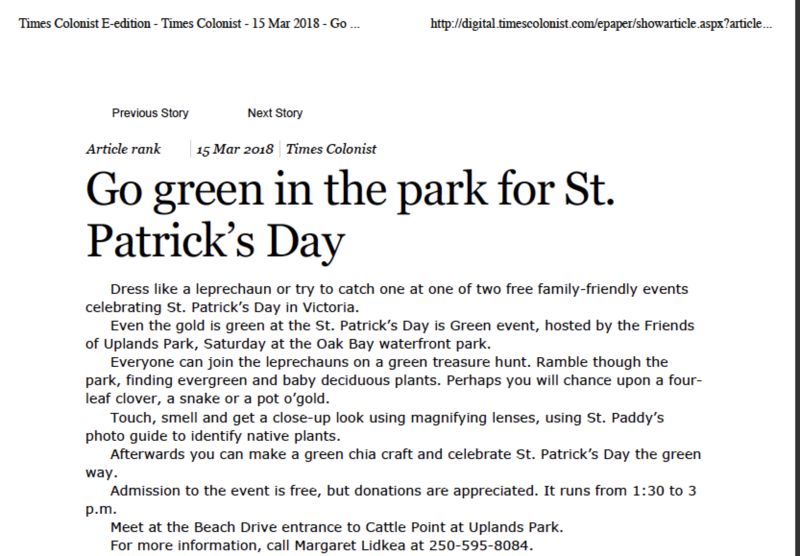 A green treasure hunt for shamrocks, eye spying for green plants along the trails, making green chia animals, and a pot of gold .. all part of the St. Patrick’s Day family event hosted by the Friends of Uplands Park in Uplands Park on March 17-2018. 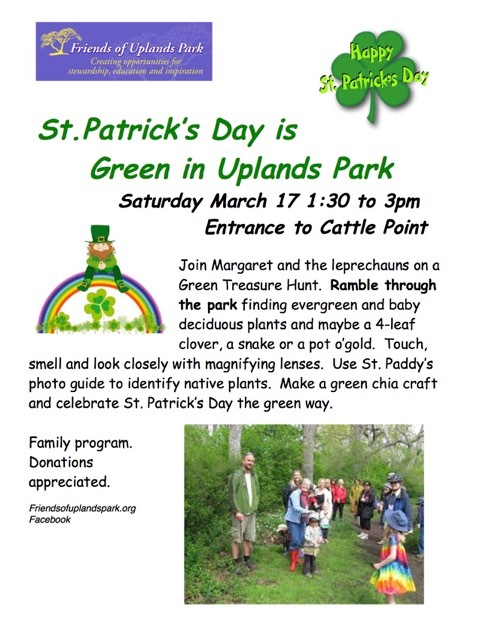 A wonderful turnout and Chief Leprechaun (Margaret Lidkea, Chair, Friends of Uplands Park) shared fun activities and plant lore with so many leprechauns, big and small. Ramble with leprechauns big and small through Uplands Park on a Green Treasure Hunt.